Following a full double university degree at Munich University and Paris 1 Panthéon-Sorbonne University, Dr. Florian Endrös completed his training as an avocat of the Paris Chamber of Lawyers. After passing the examination to be admitted as a German Rechtsanwalt, Florian Endrös completed his doctorate on European product liability law, with an emphasis on French law. 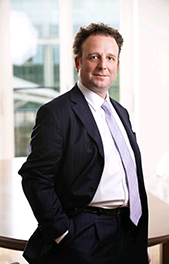 He is admitted as a Rechtsanwalt in Munich and as an avocat in Paris. Dr. Endrös practised in an international commercial law firm for several years. He was the founding partner and for ten years practised at a law firm specialising in industrial risk, before he founded the new firm Endrös-Baum Associés / EBA together with his team of lawyers. He also worked for ten years as an assistant professor at Cergy-Pontoise University (Paris). Here he was in charge of a European university project that enabled French lawyers to study German law. The main emphasis of his practice is on complex international cases and proceedings, particularly in the fields of industrial risk, plant construction, product liability and product safety, and also on general contract and commercial law. Dr. Endrös has many years of experience of French expedited expert report proceedings in a wide variety of industrial risk cases, and he is also the author of a number of books, essays and other publications on this subject. Dr. Florian Endrös's working languages are German, French and English.